With over 30 years of experience, Sandstone Industries is able to complete all phases of brickwork and concrete work with quality and a service like no other. Our prices are always fair, and well match any competitors price. Our work includes brick paver patios, sidewalks, all brick repairs, stoops and other custom brick work. Concrete patios, hardscape, paver LED accent lighting, paver driveway boarders, sidewalks, curbs, driveway aprons, foundations, basement entrances, retaining walls, concrete repairs, cultured stone, veneer stone work, fireplaces, outdoor living spaces, outdoor BBQ's, all phases of pool coping, bluestone coping and belgium block. Egress windows with site work, chimney additions and repairs, foundation leak stop and waterproofing, all phases of stucco. House lifting masonry work. We work all over the island. Licensed and Insured, satisfaction guaranteed. Customers are never disappointed with the job or service. Free estimates. Your satisfaction is our #1 priority. Our experience and our strive for perfection are the driving forces to our name. 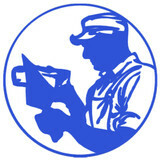 Our company was established in 1989 by Tino Buccitti, an Italian-American with a passion for masonry. From a family of masons, his experience stretches over 30 years and is made up by generations of knowledge passed down to him, as well as his undaunted desire to always want to learn more, and be better. Today, our company works on some of the more prestigious, and beautiful homes of Long Island. We invite you to look at some of our work shown in the Photo Gallery. Please feel free to contract us with any questions you may have. Connecticut Bomanite Systems was established in 1984 and provides specialty concrete and custom rock work to commercial and residential clients in Western Connecticut and Westecherster and Dutchess counties of New York. Combining an appreciation for the technical aspects of architectural concrete with a resolute commitment to quality, Connecticut Bomanite Systems regularly takes on the most challenging projects in the region. Working with architects, landscape architects, engineers, contractors, and owners during design allows our team of specialists to guide yours to the best products and process for the job. We install Bomanite Imprinted, Exposed Aggregate and Grasscrete specialty concrete systems and add our strong knowledge of custom rock wall construction to develop spectacular hardscapes and structures. An affinity for the artistic process and a focus on finding creative solutions to technical challenges are defining characteristics of our leadership. We are experienced in a wide range of procurement types and strive to infuse each project with our extensive knowledge of product performance, cost-effectiveness in relation to the owner’s objectives, and how it weathers over time. From concept to completion, Connecticut Bomanite Systems’ close-knit team takes the time and care to do every project right. With an average tenure of 20 years with our firm, our crews build projects from the base up, while also benefiting from the additional knowledge and resources available through other Bomanite contractors nationwide. Notable large scale local projects including the Maritime Aquarium in South Norwalk and Travelers Insurance properties are joined by countless municipal and residential projects to form a history of excellence. Owners, designers, and builders turn to Connecticut Bomanite Systems when nothing but the best will do and so should you. 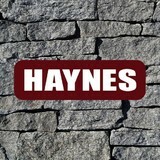 All phases of masonry, stone restoration and fine art services. For over two decades, North Shore Monuments has been committed to meeting the ever-changing needs of our customers. As a result, we have continued to evolve and now apply our expertise beyond monuments, and into the areas of masonry, restoration and art rigging. Today we are excited to announce the formation of our new company, North Shore Architectural Stone, which will both complement and expand upon our current offerings. Located just up the street from our existing location, North Shore Architectural Stone will provide a real-life showcase for all of our architectural stone products. We feel that the solidity and aesthetic value of real stone is without equal, and our new secret garden showroom will provides both existing and new customers the opportunity to stroll through actual installations of Granite, Limestone and Bluestone, as well as our new offerings of fine Rhodes™ Architectural Stone and Haddonstone™ garden and landscape ornaments and architectural cast stone. Kenneth Alvarez & John D'Angiollilo are the founders of A-D Contracting. Kenneth's expertise is in building beautiful Indoor / Outdoor Stonework. John's expertise is in building high quality custom woodwork. Together, they are masters at building each unique client's vision of what their dream home should look like. Kenneth & John's passion and perfection for what they do shine through in every project they take on. Give us a call! DELTA General Contractors has always operated under strong values aimed at exceeding client needs. Our communication channels are always open—our relationship with our clients begins on the first day of contact, and only ends once they’re fully satisfied with our work. When you hire our services, you can count on us for the results you want and need. Get in touch today, and discover the advantage of working with DELTA General Contractors. All good relationships are based on communication. Everyone agrees on that. Being open, honest and above all, be a good listener helps ensure a relationship will last and be mutually satisfying. ESPJ Construction Corp. provides you with superior stamped concrete work on projects from driveways, pool decks to decorative staircases. With over 17 years experience working with skilled concrete workers, we can provide you with just about any concrete service you desire. Whether you want traditional concrete or specialty colors and designs, our team of professional concrete workers can make any concrete design become reality. Let us know what you want or work with one of our friendly designers to create a look perfect for your property. Our capabilities are limited only by your imagination! Please take a moment to browse through our website to learn more about our services. If you have any questions, please do not hesitate to ask. We are always happy to help in any way we can. "Bringing Design and Beauty to Concrete" We are specialists at concrete restoration and resurfacing and help both home owners and businesses with any kind of masonry needs. JRI fast became a leader in providing high-tech residential, commercial, industrial and institutional concrete flooring. JRI's innovations in coating and finishes set the standard, but it's our artistry in our craft that made us unparalleled in the industry. Over time, we have gained the experience, knowledge and skill to fulfill any size masonry project. Today, JRI offers a broad array of concrete and masonry products and services. From new installation to restoration and resurfacing, JRI can provide our expertise to meet virtually any requirement. From the creative look of JRI's architectural concrete coatings, to JRI's traditional masonry installation, and Epoxy Systems for high-performance industrial applications, JRI provides the highest level of quality, service and support. At JRI, our highest priority is customer satisfaction! Our integrity is illustrated through our work ethic and our commitment to quality is seen in our craftsmanship. Westchester pavers is a design build firm , we build outdoor spaces that revolve around the lifestyle and finishes of our customers . From 3d design to cleaning off the appliances and furniture , we manage and build start to finish. Rossitto and sons LLC is a family owned Father and Son business with more than 35 years experience in superior masonry and home improvement. We offer full service masonry and landscaping for residential properties in central Connecticut and surrounding areas. Whether you need a stone patio around your pool, a natural garden wall, a stone path or boulder steps, we bring years of experience to each design project we for you building or home. Please feel free to contact us today for a FREE consultation. We’ll be happy to answer any questions you may have. Stone Quest has been in the stone business for > 15 years, operating as one of the largest importers and suppliers of natural stone in the area. Our inventory includes hundreds of materials in various stones including: granite, marble, onyx, and limestone from around the globe. Our warehouse is centrally located in Carteret, NJ where we operate a high capacity fabrication shop producing stone countertops, vanity tops, fireplace surrounds, etc. Stone Quest also has a reputation in the NY tri-state area as a leading production company for architectural dimensional stone. We manufacture high quality custom elevation elements such as balustrades, panels, cornices, bandings, keystones, and more for building facades in commercial and residential applications. Finally, Stone Quest offers professional care & maintenance of all natural stone surfaces as well as stone restoration.